Fink is currently in the midst of a Kickstarter campaign for $35,000 in post-production funding. There are only two weeks left to hit his target, but the Pulitzer Center on Crisis Reporting will match contributions made, so those interested in supporting the project will see their donations count double. To keep updated on the project, visit its Facebook page, and for more on Fink’s previous work, check out his website. To viewers living in countries that have afforded more protections to its LGBT citizens, films like Fink’s offer a stark reality check about the conditions faced daily by others around the world. What does it mean when one’s own country proves so dangerous that asylum elsewhere may be the only option to live safely? For every LGBT person who seeks refuge in a more welcoming country, how many others from his or her land are unwilling or unable to leave a place like Jamaica, or Uganda, or scores of other nations that criminalize homosexuality? 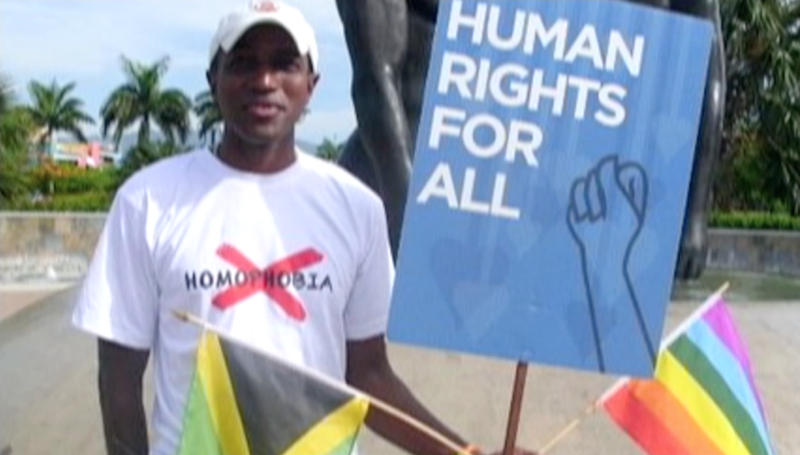 Stories like Maurice and Simone’s should make viewers, gay or straight, think twice before choosing to take a vacation in Jamaica and supporting the economy of a country that doesn’t protect all its citizens – unless recent promises by the Jamaican Prime Minister to counter discrimination actually bear results in legal reforms and societal attitude shifts.